An Opus is more than just a luxury publication. It’s an investment. 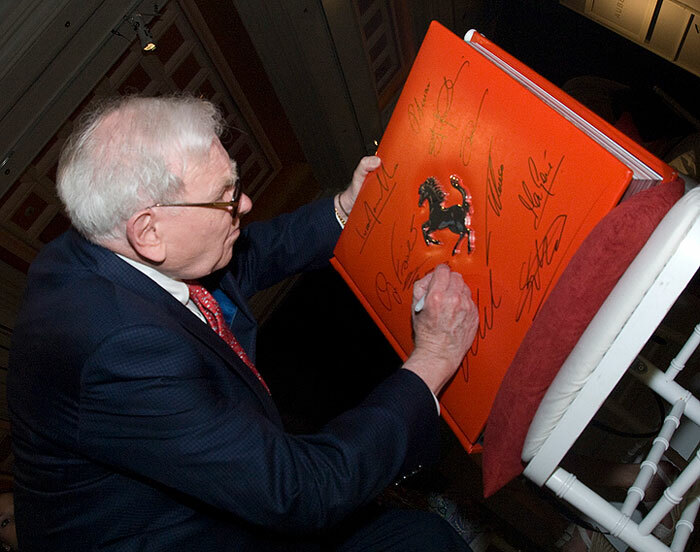 The Fraser’s 100 Index, one of the worlds leading experts in autographs and collectables acts as a definitive guide to the autograph market performance. Indeed the 100 most popular autographs have shown very impressive growth over the past 6 years with a cumulative increase in value of 174 per cent, with some seeing value growth in excess of 400 per cent. Demand is outstripping supply for the rarest and most sought after items. There are still few investors or financial advisors who have identified the benefits of diversification into alternative tangible asset investments. That is why time and time again throughout history, financial wealth is destroyed when there is a stock market or house price crash, as many investors are overexposed in these areas. Investments in collectable tangible assets like limited edition autographed books have, historically, been broadly unaffected by political and economic vagaries and therefore can offer protection and insulation to an element of your net worth. The recent trend of low interest rates and low inflation has changed the historic perspective, providing ideal conditions for maximum growth potential when compared to returns available from mainstream investments. The fundamental market forces of supply and demand suggest that limited edition collectable books will continue to rise in the future, and historical evidence is that collectable books have proved to be a consistent and reliable long-term investment. Due to their higher levels of disposable income, a large percentage of current collectors are in the 45 to 60 years age group (according to the UK Government Actuary Department). With official British government figures showing an expected six million extra over 50s by 2012 in the UK alone and 28 million by 2040, the next 35 years look set for a boom period for collectables as baby boomers invest disposable income in hobbies and alternative investments such as rare limited edition books. This increased interest for a limited supply premium product can only have positive effects on prices. We are also seeing the emergence of the powerful and wealthy new economies, especially Russia, India, China and the Far East. A new breed of collectors in these countries are looking to buy rare and unique items of luxury and scarcity in vast numbers. Excellent investment returns are complemented by the feeling of emotion and pride from owning an important and rare piece of history. No other alternative investment can offer such an eclectic range of emotions and benefits. How many people do you know that own a Super Bowl XL Opus, personally signed by every living MVP in the history of the Super Bowl, or a United Opus signed by the great icons from Manchester United’s rich and amazing history?